In this part of the tutorial, we will focus on creating your very first project using the Projuicer. 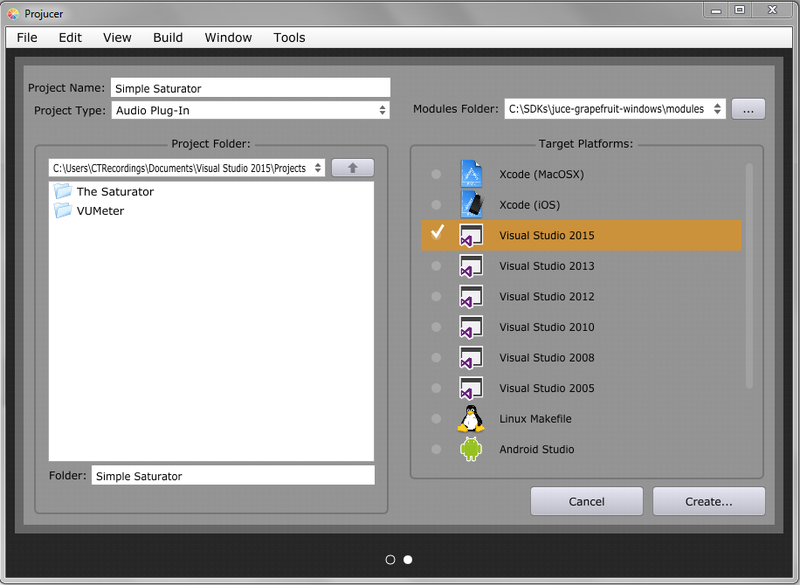 This assumes that you have already installed Visual Studio 2015 and setup the VST SDK as well the JUCE framework. If not then please complete the previous tutorial Developing Audio Plugins – Getting Started before continuing. The projuicer is an extremely useful application that is included with the JUCE framework. 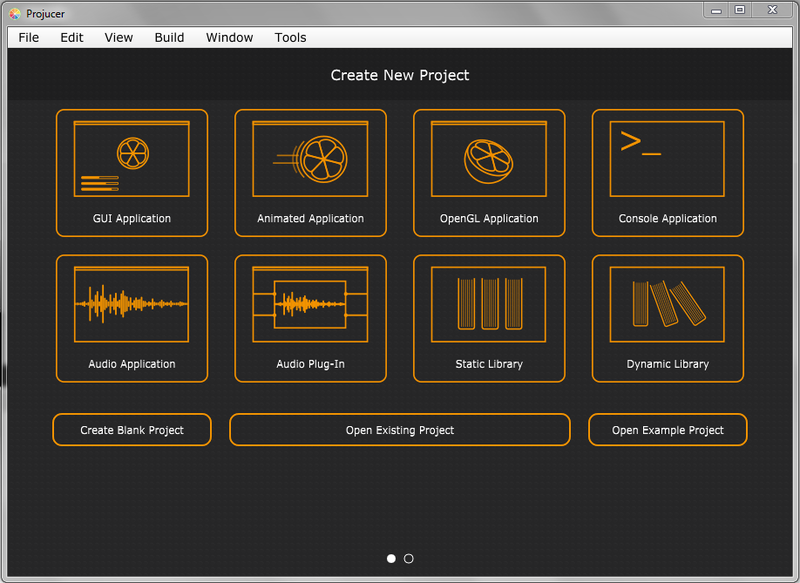 It makes it incredibly easy to create new projects and manage your plug-ins. 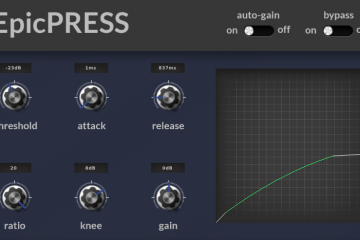 JUCE can be used for many applications including Android, however right now we are only concerned about audio plug-ins. So lets get started by opening the folder called juce-grapefruit-windows and running Projucer.exe executable file. You will be met with an interface that looks like the following. 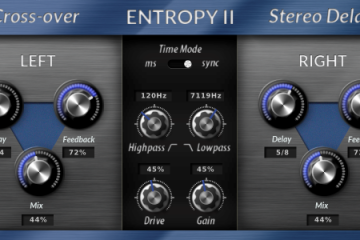 As you probably already guessed, we will chose Audio Plug-In from this screen. The next screen may seem a little daunting at first, but don’t worry about it much now. We will cover it in more detail later. Choose the File tab in the upper right corner and then Save Project and Open in IDE… or you can press cntrl + shift + L. The project should now open in Visual Studio 2015. 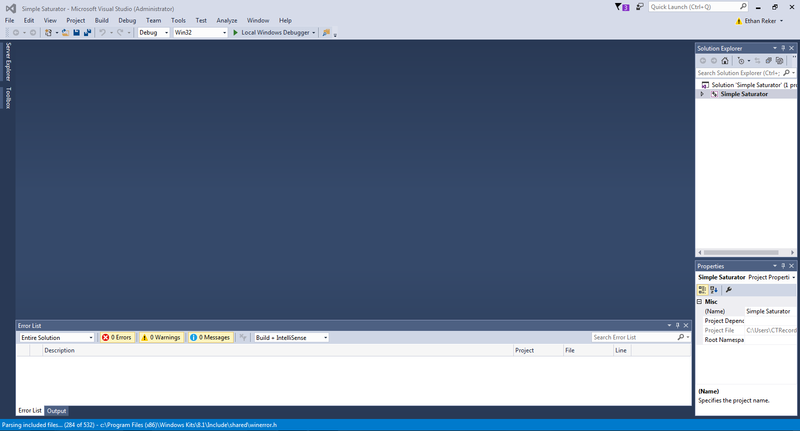 If this is your first time running Visual Studio you will probably be asked to install some updates. These are needed so please install them. If everything went smoothly you should see this. Under the Build tab at the top, choose Build Solution or press cntrl+shift+B. This will begin the build process. If you the process completes with no errors, then you are ready to move on to the next tutorial! If everything compiled correctly, you should see something like this at the bottom of the screen. If you run into any errors, retrace your steps and make sure you did everything properly. There are numerous things that can cause errors. Also feel free to comment or post in the forums for help.